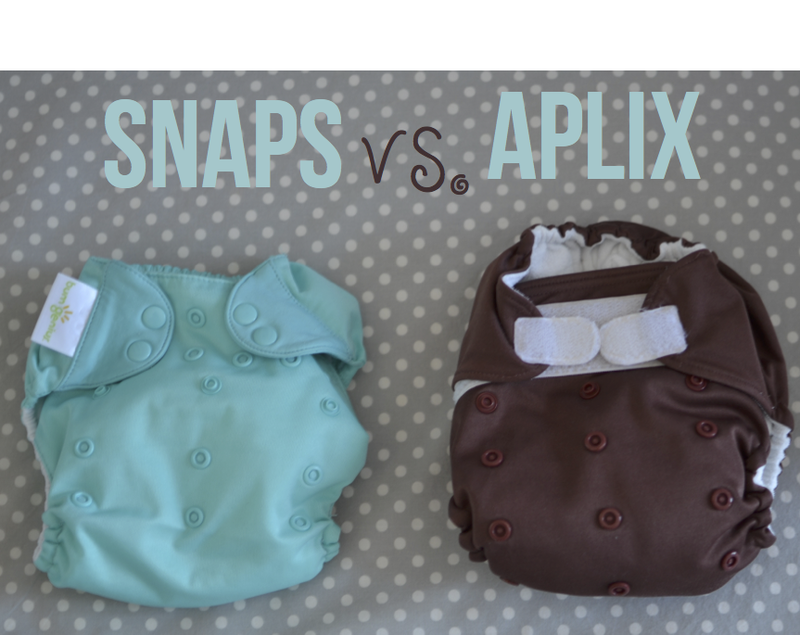 Snaps vs. aplix (commonly referred to as velcro) is one of the great debates in the cloth diapering community. Everyone seems to have their own opinion. Some prefer the ease of aplix while others like the durability of snaps. I have used both closures with Grace, and they each have a place in my stash. The debate is much more complex than some will lead you to believe. You need to decide which is better for your own family. I will lay out the facts and let you decide. Aplix or Velcro has been touted as conveinant, easy and fast. 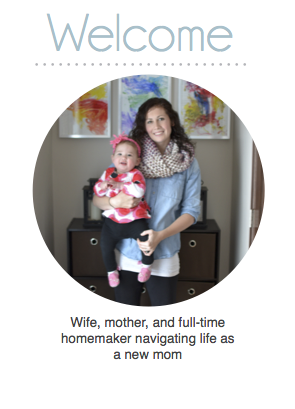 Aplix allows you to get a more custom fit for your child and allows you to make quick adjustments to the diaper. However, there are also a lot of problems with velcro. First, no matter how careful I was to attach the closure to its laundry tabs there always seems to be a diaper chain in my laundry. Also, over time small pieces of lint can become attatched to the velcro making them less "sticky." Second, most velcro tabs tend to wear out quickly and need to be replaced (Rumparooz and Grovia tend to be the exception). Lastly, velcro makes it easy for a baby as young as 4 months to undo their diaper and spread the contents across their crib (yes, I am speaking from experience). Snaps on the other hand are great deterrents for little houdinis and stay closed when your child starts scooting across the carpet. They also hold up well and help prolong the life of your diapers without costly replacements. But, of course there are down sides too. First, they are not as easy and quick to use as velcro. Have you ever tried snaping 6 buttons on an 8 month old as they crawl away? It's impossible, trust me. Secondly, they are not as easy for grandmas or babysitters to use which can lead to a poor fit and leaks. I think this truly depends on your family, your needs, and who will be diapering your child. As a rule, I only use snaps with Grace for a couple reasons. One, they are more cost effective. Two, they do not come undone when Grace plays. Lastly, they have not posed much of a problem with temporary caregivers. Of course, there is always an exception to every rule. I do have a few Rumparooz hook and loop closures (Anthony's favorite) in rotation and they have held up great. They are my go to when I don't want to fight with my squirmy child. I also only bought velcro diaper covers for my fitteds and prefolds when Grace was a newborn. Since prefolds and fitteds are a two step process and a newborn gets changed A LOT, this was simply a choice of convenience. The velcro also helped to get a more custom fit on a tiny newborn and hold in those explosive poos. Now that Grace is older I am not sure if I would use a velcro cover since she has curious fingers that likes to undo everything, but I definitely recommend them for newborns. Cloth diapering mamas, which do you prefer?